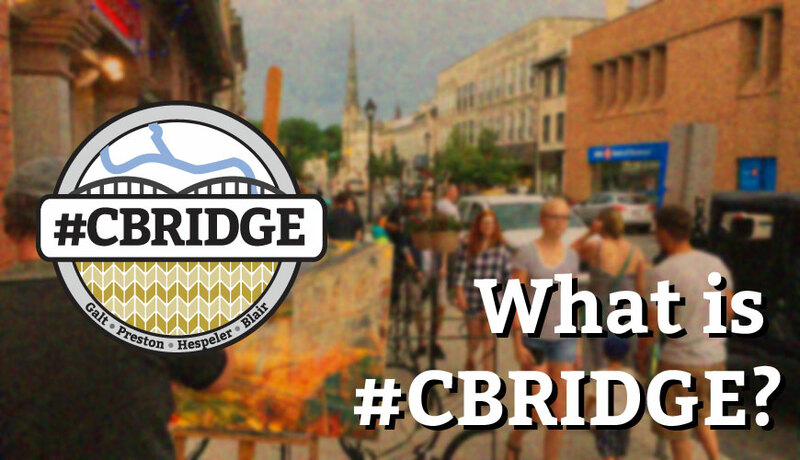 What is #Cbridge all about? 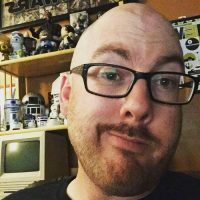 As this blog has been up and running for a bit I realized I wanted to take a step back and address what this project is all about. It’s been a long time simmering and all ties into the building of the local social media community in Cambridge. In 2008 I joined Twitter, curious to see what all the buzz was about. In the early days there weren’t too many local folks who were those early adopters here in Cambridge. I didn’t start using Twitter in earnest until 2009 mainly because I didn’t understand the platform and what it was actually offering. By 2009 there was starting to be local people you could actually add and interact with, but back in those days it was difficult to even find local people given Twitter’s search wasn’t nearly as robust as it is today. As time went on there began to emerge a solid group of local Twitter users, or tweeps, many living in Kitchener, Waterloo, Guelph and Brantford as well as Cambridge. Once people started growing out their network and getting to know one another there was the next phase, actually meeting these people in person. My wife and I helped organize a few local gatherings called Tweetups, where you’d actually get out and socialize with local Twitter users. A local social media community had begun to form. My wife and I became quite involved in the local social media community. In Kitchener, Waterloo and Guelph there were tons of events being organized that would leverage the power of social media to create buzz. Events like Ignite Waterloo, TedXWaterloo, SteelRails, DemoCamp Guelph and Tweetstock were great events and really highlighted what was great about social media and the type of social good it could create in the community. Through many of these events we ran across people living in Cambridge who were often traveling to nearby cities to take part, while there wasn’t a whole lot going on in Cambridge. While there were all sorts of social media driven things happening in these nearby communities, it seemed like Cambridge lagged behind in that regard. Back in 2010 a few of us local folk realized we had a problem. As anyone who has used Twitter has seen the idea of using a hashtag is pretty integral to the experience. The problem was that #Cambridge was polluted. Not by overuse or spam, but by the fact there are a couple other Cambridge’s in the world, in England and in Massachusetts. When you’d check this hashtag out to see what’s going on locally you’d be finding people from the US and across the ocean all partaking in the same conversation and sharing local content, which made for a confusing mess. At some point the discussion was started about creating a unique hashtag that we could claim as our own for Cambridge. If I recall correctly there was some offline discussion about this before, but this thread below was kinda the genesis of where the hashtag started. Previous to this the hashtag was used by a Japanese Bridge player for whatever reason. As I didn’t grow up in Cambridge I don’t recall hearing it called Cbridge before, but I’ve heard from a few people that claim to have used that as a nickname for our fair city that preceded the hashtag. 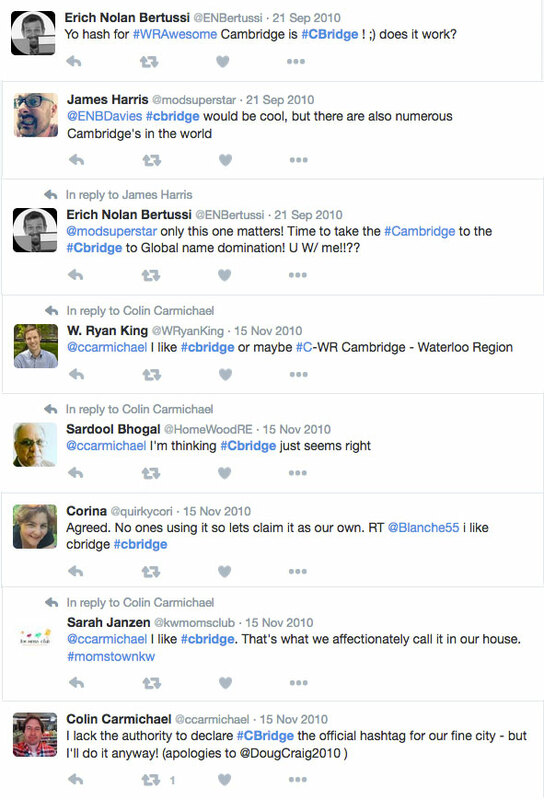 So since November 2010 our local Twitter community took to using #Cbridge to identify Cambridge in the online world. It took awhile to gain steam, but now there is no denying the #Cbridge hashtag, as it’s used by local media, businesses and citizens to categorize points of interest in our community. It’s a way to brand our community in a forward thinking fashion. Back roughly 2 years ago my friend Colin Carmichael messaged me to ask whether I would be interested in the domain cbridge.ca. He was smart enough back when we were discussing all this hashtag stuff to actually register the domain. He had intended on doing something with the domain but had never got around to it. So he passed it onto me and I subsequently sat on it for at least a year before doing anything with it. I had been mucking around with the site for awhile in stealth mode before finally getting my act in gear this year to get the site off the ground. I feel that this domain is really the best online real estate outside of the city owned cambridge.ca, so I didn’t want to let it go to waste. To start I’ve added a few blog posts that I had written on my previous blog that still had some pretty relevant ideas. 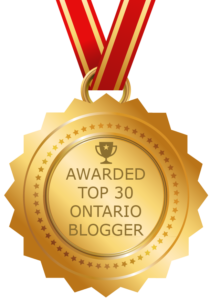 Ideally I want this blog to be a place for progressive ideas that can transform our community. Talk about the positive things going on in this community that don’t seem to get coverage in the Cambridge Times. Cambridge isn’t perfect by any stretch, but there are certainly lots of ways things in this community can be improved. Building strong community voices is certainly one way. 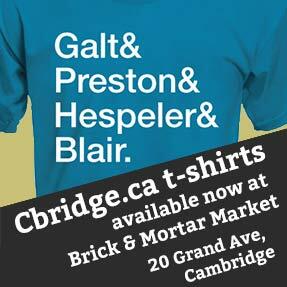 I’ve always felt that the idea of #Cbridge was a 21st century re-imagining of the idea of Cambridge. Not as multiple divided communities, but as a unified city. With all the history behind the hashtag out of the way I now have a favour to ask. If you’re using social media, be it Twitter, Facebook, LinkedIn or Instagram and you see someone #Cambridge in a post referencing our city, suggest to them to use #Cbridge in the future. Not everyone knows or understands why we don’t use #Cambridge, so maybe point them to this post to educate them on why that might be. Getting everyone paddling the same direction definitely helps our community as a whole.